Whether it is a final tasty morsel served to your wedding guests later in the evening or something more substantial to satisfy the appetites of any additional evening guests, it is customary to provide an evening buffet at a wedding. The Supper Club offers a variety of options for your wedding evening buffet including classic favourites, innovative new ideas and themed spreads to delight your wedding guests. What time is your wedding breakfast being served? In our experience a three course wedding breakfast with speeches, lasts around two to three hours depending on the number of speakers (and their aptitude for public speaking! ), so if your wedding breakfast is due to be served at 2pm then your wedding guests would finish their meal no later than 5pm and will be ready for something else to eat later that evening, after enjoying a couple of drinks and a boogie. Conversely if you have booked a later wedding ceremony which means that you won’t be sitting down for your wedding breakfast until around 5pm and therefore not finishing the meal until around 7.30pm / 8pm then you really don’t need to lay on an extravagant evening buffet. A modest spread of cheese and biscuits served alongside fingers of your wedding cake will be more than sufficient in most cases. Are you inviting additional evening guests? If you are inviting additional evening guests it is generally considered impolite not to offer them something fairly substantial to eat at your evening wedding reception. They may have travelled some distance and it is unlikely that they will have had chance to eat a meal prior to attending your reception. You wouldn’t want your guests’ enjoyment of the evening to be hampered by hunger. You should also consider that as tempting as it may be to cater only for the number of additional evening guests that you are inviting to your evening wedding reception, you should never underestimate the hearty appetites of your day guests, who will always find room for a delicious evening nibble, no matter how well they were fed at the wedding breakfast! We have a wide variety of options to suit your individual requirements and we’re on hand to offer advice on whether you need to cater for all your guests in the evening or a proportion of them. Here’s a small sample of the classic and contemporary options available to you. There are over 700 cheeses produced in the UK, our chef’s selection includes a young crumbly Wensleydale which has a milky freshness and hint of lemon; a soft textured Shropshire Blue, smooth and mellow with a glorious orange hue and a sharp dry Lancashire which when eaten with a piece of your wedding fruitcake is simply sublime. 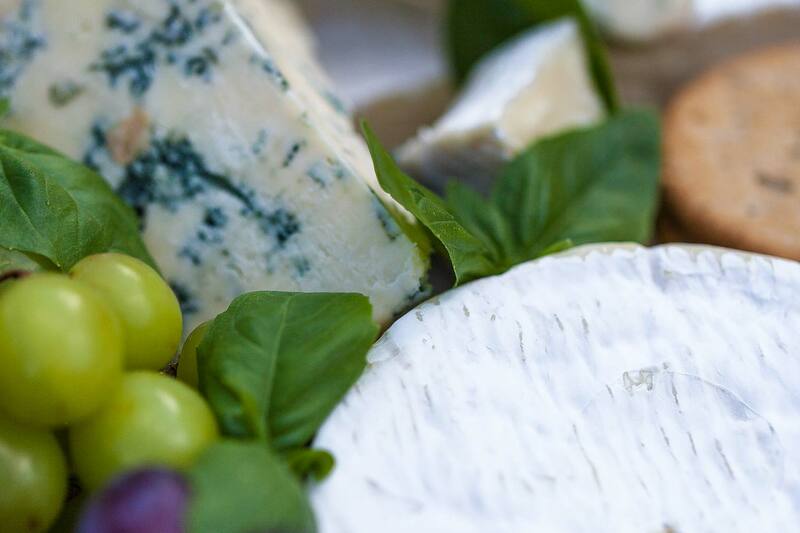 Served with classic accompaniments including a variety of chutneys, crisp palate cleansing celery and a no-nonsense selection of biscuits picked to act as the perfect delivery vehicle for the show-stoppingly good cheese; this is a fitting finale for your wedding feast. 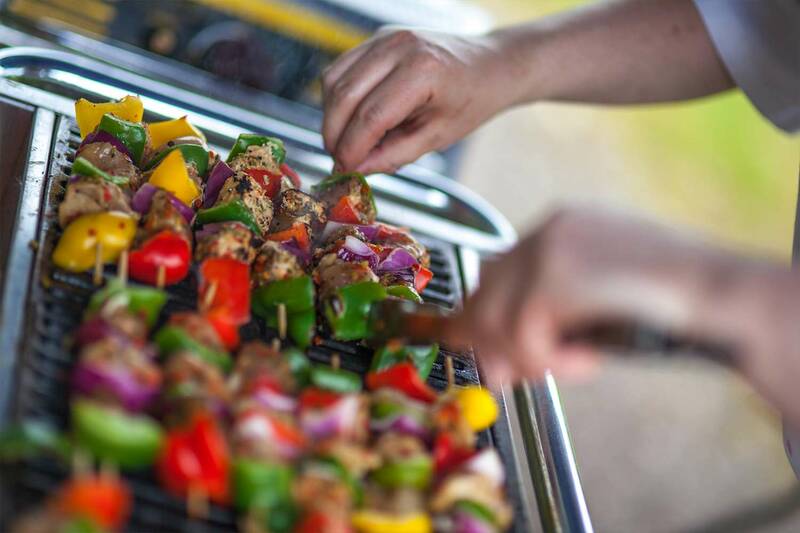 Choose from such delights as Marinated Chicken Kebabs, Spice Rubbed Pork or juicy Staffordshire Minute-Steaks chargrilled on our BBQ and served with a tangy Ranch Dressing; guests can help themselves to a selection of Artisan Breads, Potato Salad, Coleslaws, Green Salads and Salsa, the perfect end to a Summer wedding. Brandy Alexander is a digestif cocktail specifically blended to be enjoyed after a big meal. 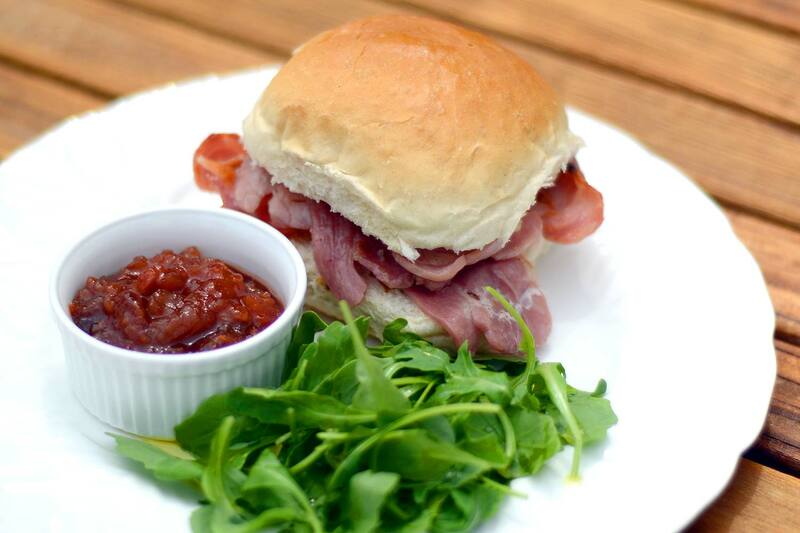 The culinary equivalent then, is surely the ubiquitous bacon bap, no matter how heartily your guests partake of their wedding breakfast, after a bit of a breather and a couple of drinks, there is always room for a bacon bap! Soft white rolls filled with air-dried and smoked British back bacon, what’s not to love?